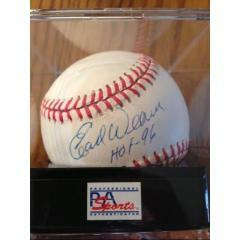 Here's an official Major League Baseball signed by legendary manager and Hall of Fame Member Earl Weaver. 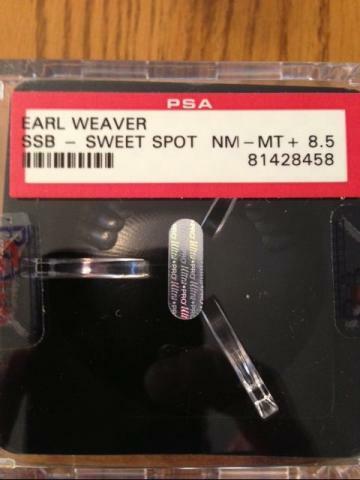 The ball is in Mint Condition and the signature rated 8-1/2 out of 10, with authentication provided by PSA/DNA. Weaver was the fiery manager of the Baltimore Orioles from 1968 to 1982, and again from 1985 to 1986. He retired from baseball at the end of the '86 season and was inducted into the National Baseball Hall of Fame in 1996. As manager of the Orioles his teams won 1 World Series and 3 AL Pennants. Weaver died earlier this year. 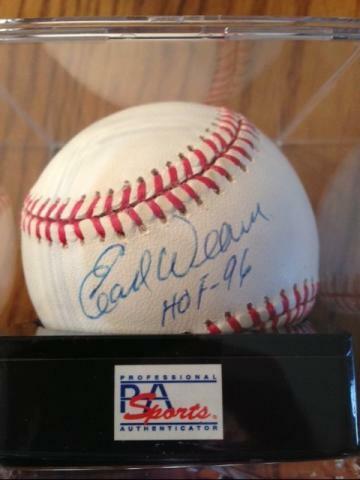 Any Orioles fan or game historian would love this autographed & inscribed ball for their own. Buy it today. Due to the unique nature of this ball we will charge your credit card for the full price immediately upon taking your order. This policy ensures we reserve the ball for you. We will confirm your order by Email. This ball is not game used. Please allow at least 2 weeks for delivery.